Uncover the little-known treasures of Nashville on a 90-minute insider walking tour with a savvy guide. Explore hidden pathways, convenient alleys and grand boulevards, marveling at empowering storytelling and visiting specialty sites to explore cultural jewels. You’ll see top attractions like Woolworth on 5th and neighborhood gems like the Witness Walls in Public Square. As you walk, you'll learn the history of this musical city and its ancient roots. 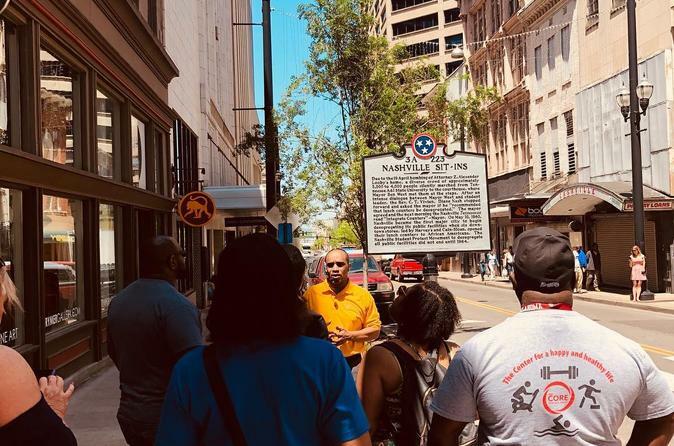 90-minute walking tour of Nashville's hidden treasures with an expert guide at 11:00 a.m.
Ending Location: This tour ends at TN State Capitol Building, a 12 min (0.6) mile walk from the start. Listen to fascinating stories about African American History, as well as some elements of women’s and Native American history.